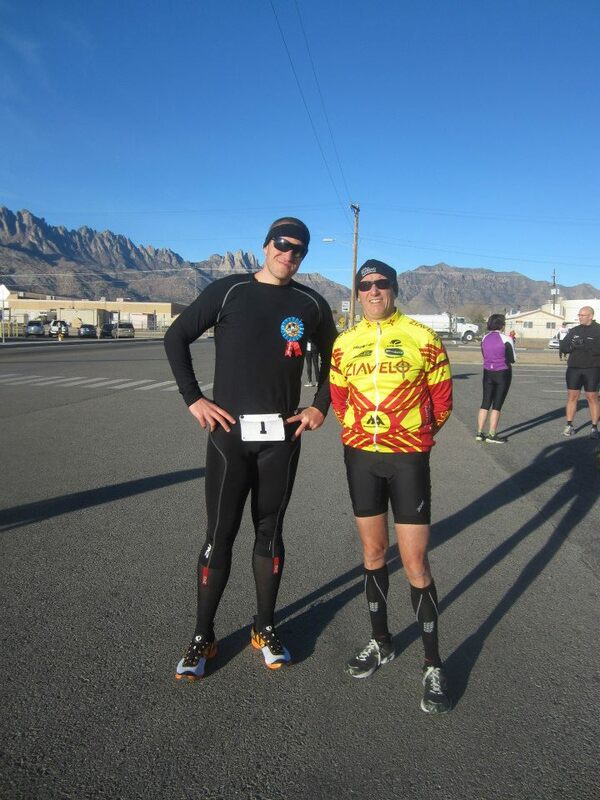 On February 3, 2013, Mike participated in a local duathlon race at White Sands Missile Range called the Missileman Duathlon. The series consists of mainly triathlons, but mingled a duathlon into the calendar. Mike is not too fond of the run-bike-run, but it was awesome for training for his half Iron Man, as well as the other triathlons he is planning on doing. It was a success. 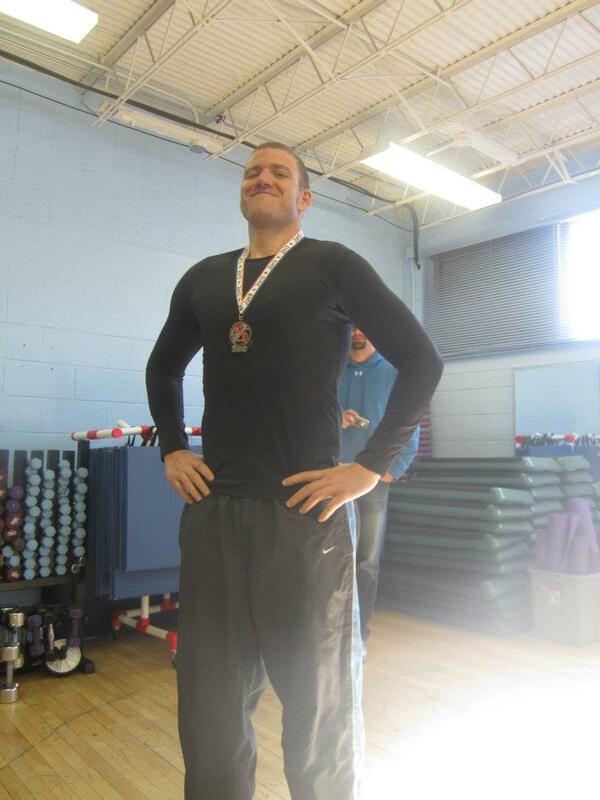 In his category, he was able to place first in the 39 and below Clydesdale and was 2nd overall out of EVERYONE. 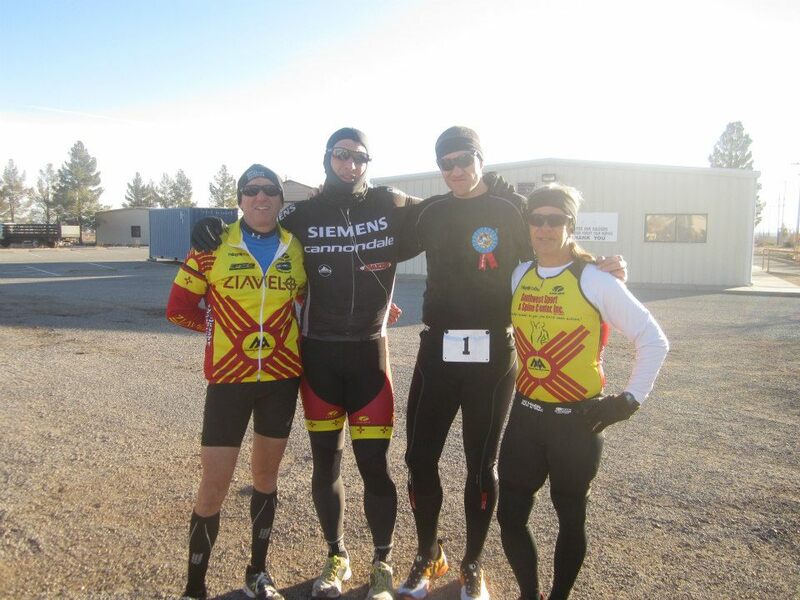 Mike has been training with a group of guys from his local biking team Zia Velo. Every week they train on the NMSU track with sprints and laps around the track. They are all planning on taking part in the Boulder Half Iron Man, which will take place in August. This race began with a 7k run. Mike was able to come in at around 33:32 minutes. The first place runner came in at 28:44. 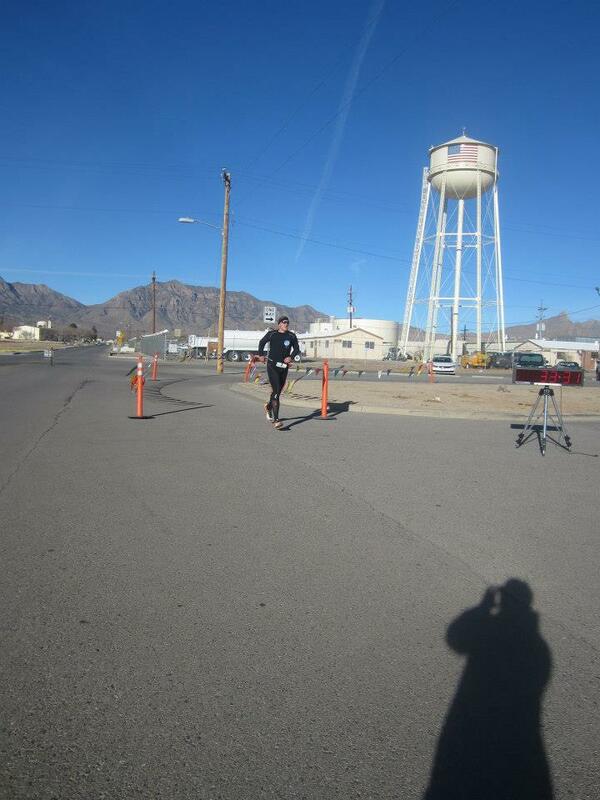 After the run, they had to bike 28k out and back from the Missile Range. If you look closely at this picture, Mike was the first one back out of everyone. The second place guy was a few minutes behind him. This was the same guy who came in first on the run. I’m loving the number 1 for his race number. After the 7k run and 28k bike, there was a 5k run to end the race. Half of the run was an uphill climb to a tower and then back. Mike was only passed by the 7k first place runner, who was definitely made to run. Mike barely missed first place by a minute! 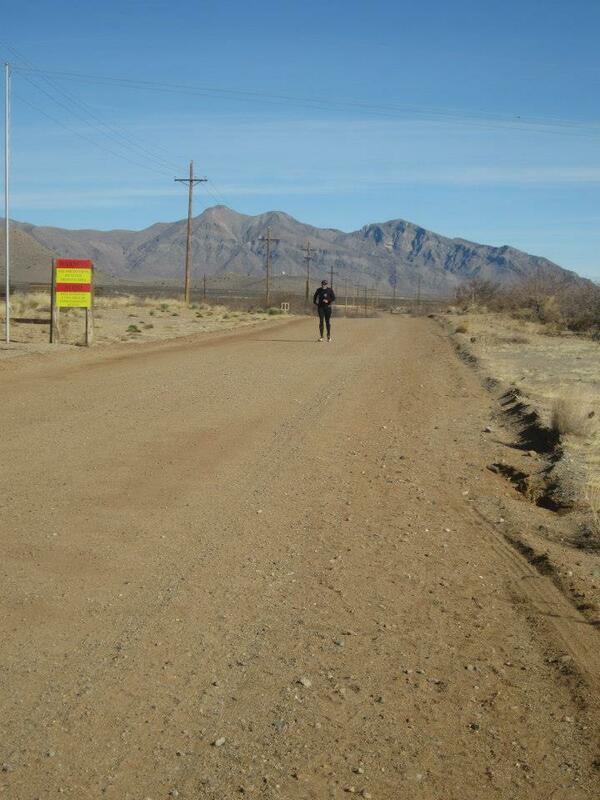 I asked Mike if he could go back and think of ways to train for this, that he would practice more uphill runs. 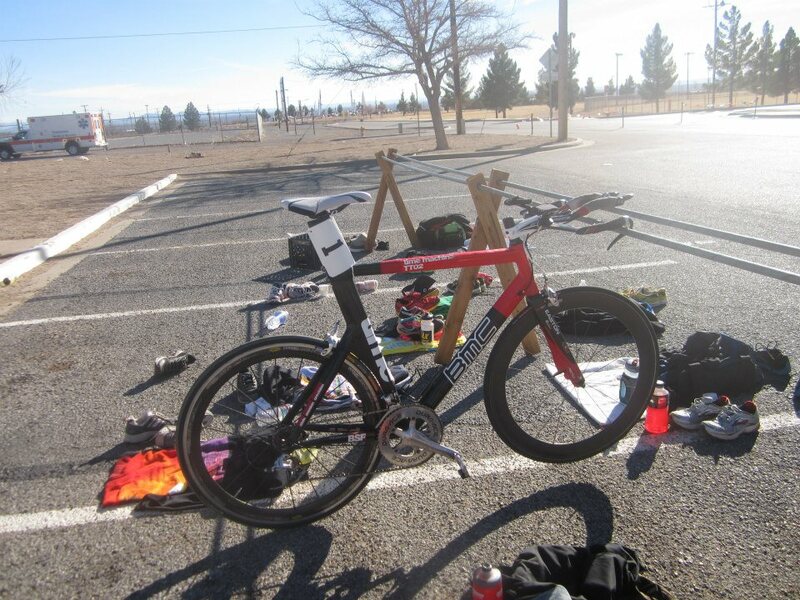 In conclusion, Mike was able to do his best bike time on a triathlon with a 43 minute bike time compared to the first place winner’s 50 minute bike time. He had the fastest bike time of the race. SUCCESS.